Why do Indians hate their airlines? Dubai: When an Air India flight from Mangalore arrived in Dubai behind schedule on October 26, the delay was blamed on the bees. The hive they had built overnight was promptly dealt with and the incident went largely unnoticed. It paled compared to a shocking experience passengers aboard an Abu Dhabi-Kochi flight underwent the previous Friday. The Air India Express flight IX 452, a Boeing 737, was flying from the UAE capital to Kochi in the Indian state of Kerala when it was diverted to Thiruvananthapuram due to bad weather. But when it landed, passengers, including pregnant women and children, were holed up in the aircraft for several hours without food, water and air-conditioning. At their wits end, the passengers demanded to know when they would be flown back to Kochi. But they claim the crew kept them in the dark, dodging questions and throwing their hands up on the plea that their shift was ending. Enraged, some passengers then approached the cockpit and got into a heated argument with the crew. The pilot, Captain Rupali Waghmare alleged that they even assaulted and threatened them with dire consequences. She immediately pressed the hijack alarm, creating history not just in Air India but Indian aviation itself. As six passengers, all from Abu Dhabi, face ‘hijack’ charges, the question that Indians in the UAE are asking is: what ails the Indian airlines? Claiming they have suffered for far too long in the hands of the national carrier Air India - and more recently Kingfisher Airlines - they are now saying “enough is enough”. On October 26, Pravasi Action Council, a newly formed group of non-resident Indians in the UAE, met in Dubai to “share our concern and grievances regarding Air India’s attitude towards the Pravasis”. Dr Puthur Rahman, Chairman of the Council, told XPRESS representatives of 43 Indian organisations in the UAE attended the meeting where they decided to move the Kerala High Court against Air India to demand compensation for passengers of the Abu Dhabi-Kochi flight. He said the council has also appointed a lawyer for the accused passengers. “We have nothing against Air India, it’s just their attitude. We depend on them heavily and they treat us so shabbily. How many more delays and cancellations should we suffer? Last year alone, there were 300 cancellations in various sectors of Air India, not to mention the innumerable delays and schedule cut-backs,” Dr Rahman said. Complaints about pending refunds following last-minute cancellations also crop up with alarming regularity. Lawrence, whose ticket on a Dubai-Thiruvananthapuram flight was cancelled in September, said he was still running from pillar to post for a refund. “Poor communication and very poor service in Air India Express,” he said. “If you compare the summer and winter schedules, Air India Express has definitely increased capacity out of all three stations (Dubai, Sharjah and Abu Dhabi,” she said, pointing out that the airlines operate 186 flights per week from the UAE in the current winter schedule as against 159 flights in the earlier summer schedule. What gives the national carrier an edge over the others is its wide connectivity and network, besides attractive fares. As Srivastava said, Air India and Air India Express together carry more than 3,000 passengers from the Gulf every day. They fly to 16 destinations in India from the UAE, five of which are not connected by any other airlines. These destinations are Tiruchy, Amritsar, Mangalore, Pune and Vishakapatanam. 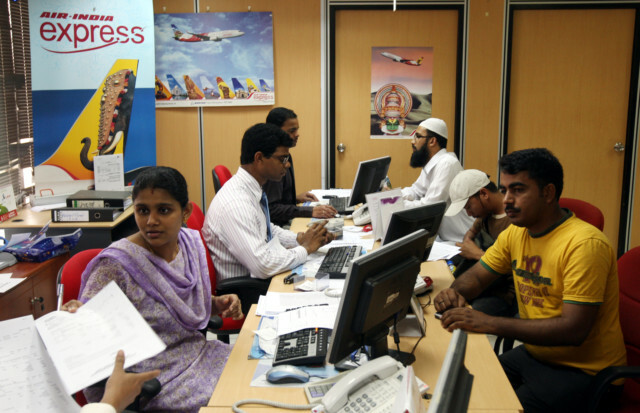 “Apart from this, Air India offers extremely attractive fares to all these destinations in India. It offers a host of add-on fares to various interior points in India for as less as Dh100 extra,” said Srivastava, adding that all flight departures from the UAE are at convenient times so that passengers can take their onward connections from India. Even the most unhappy passengers agree that Air India’s connectivity and timings are unmatched. Santhosh Rai, a Dubai resident, said he continues to fly Air India Express despite losing his wife and two children to the Mangalore crash. “I wish I had a choice but I don’t. Air India Express is the only airline that takes me to my hometown Mangalore,” he said, still battling for the compensation due to the family. But others like Anup, an Abu Dhabi resident who was on the Abu Dhabi-Kochi flight on October 19, vow they will never fly Air India again. “It was simply horrible, the way they denied us basic facilities like ventilation, food and water for so many hours,” he said. “Instead of arranging transport to their original destination or some comfortable resting rooms for passengers, they were cloistered on the runway. When the tired and angry passengers protested and requested for transportation and water, the pilot panicked and informed the authorities that the plane was hijacked and registered a case against the already weary passengers,” said Dr Rahman. Passengers travelling to Kerala have in fact long been demanding an alternative to Air India which enjoys a near-monopoly in the Gulf sector. So much so that the Kerala Government has stepped in with a proposal to set up an exclusive airline - Air Kerala - for their benefit. 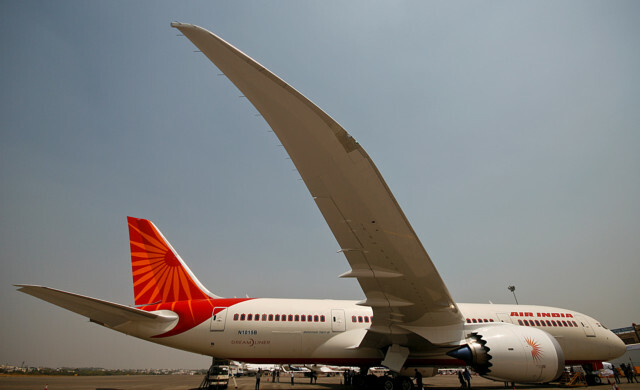 Subject to approvals, the airline plans to launch in April 2013, becoming India’s first airline promoted by an individual state. While Keralites in the UAE are going all out to support the proposed carrier, the unflattering experience of Indian airlines like Kingfisher is not lost on others. The hugely indebted airline put thousands of passengers through recurrent ordeals of inordinate delays, abrupt cancellations and refund logjams before its licence was finally suspended last month. With an average of 500 passengers from the UAE taking its three daily flights, affected residents here found themselves raising the same uncomfortable questions about the performance of Indian airlines. The Centre for Asia Pacific Aviation India in its October 2012 report has noted that the second quarter of 2012 saw “a return to significant losses across the board, with the Indian airlines combined losing $470-550 million. Of this, Air India’s estimated losses stood at $280-320 million, followed by Kingfisher at $110-130 million. But clearly, few in the UAE seem convinced.